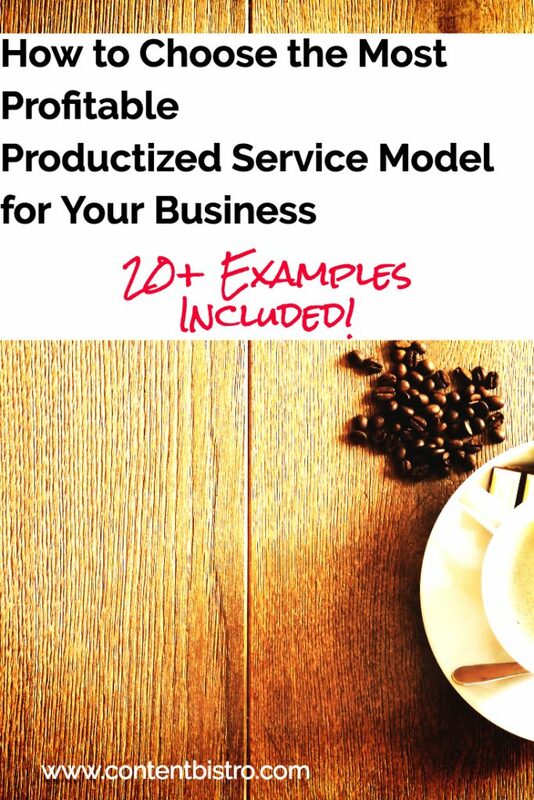 This is part 2 of the 3-part series on creating productized services, the profitable way. Part 1 is where I shared how productizing helped us crack $210K while working fewer hours. Not only have I been getting GREAT feedback on the post, I’m also getting great questions and I love that!! One of the most common questions has been: How will this work for my business? This is also why I made the executive decision of sharing THIS post first and then, the post where I walk you through how YOU can create irresistible productized services for your business. 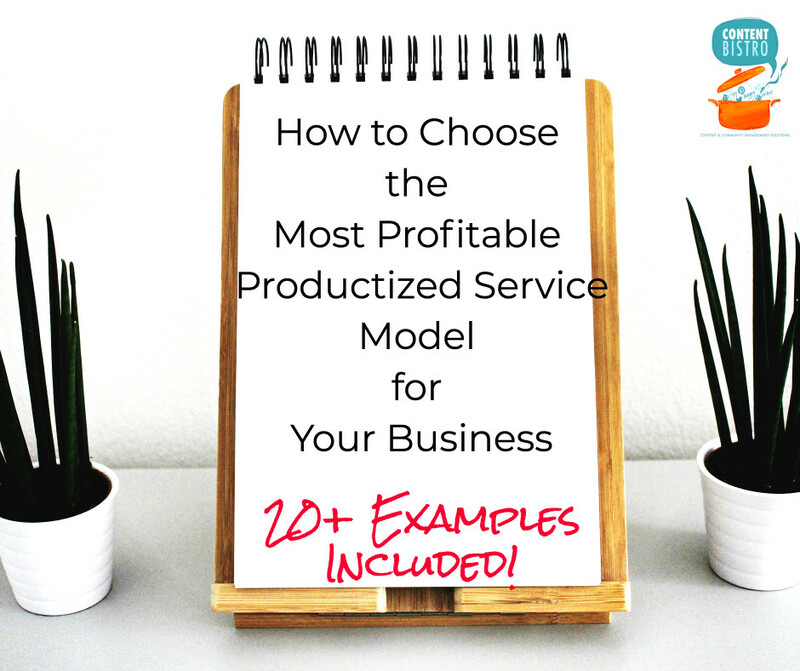 Well… I could easily tell you to hop on to the Profits on Tap VIP list since that will walk you through that entire process but instead, I’ll share with you 3 key productized service models AND 20+ examples to help spark those ideas. The first model is where the productized service or package that you offer caters to people who’re brand-new either to YOUR business or to the industry. This niftily packaged service will help your prospects get a chance to work with you (and experience your awesomeness!) without a significant investment or time commitment. This is usually a flat-rate offer and not a monthly commitment. 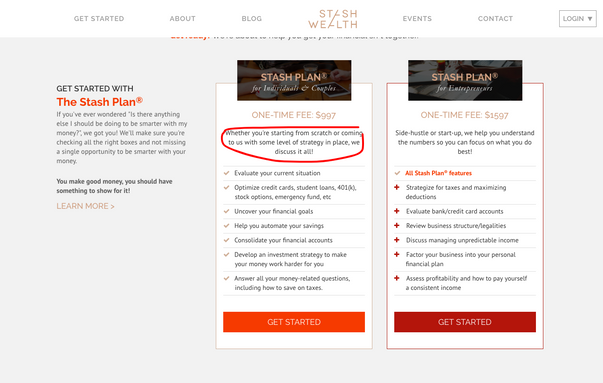 For example, Stash Wealth offers financial planning services for HENRYs or High Earning, Not Rich Yet individuals. Their STASH PLAN is the perfect example of a productized service with clear benefits and deliverables. It is a one-time fee with no time commitment. Perfect for someone who wants to dip their feet into working with them and not fork out a few thousand dollars. The next service model you can consider is the monthly subscription or middle-of-the-rung package that is tailored more for clients who have ongoing needs and at the same time don’t have a huge budget to work with. They’re happy to pay you a monthly fee for a set/pre-determined list of services. Pebbled is a great example of this middle-of-the-rung package. For a set monthly fee, you meet ALL your ongoing graphic and website design needs. It’s clear, brilliant and is perfect for entrepreneurs who have design needs but don’t want to hire a full-time designer. Finally, there is the top tier services model. This is more high-end and is ideal for clients who are aware of your brand and are ready to plunge headlong into working with you on one big money-making project. 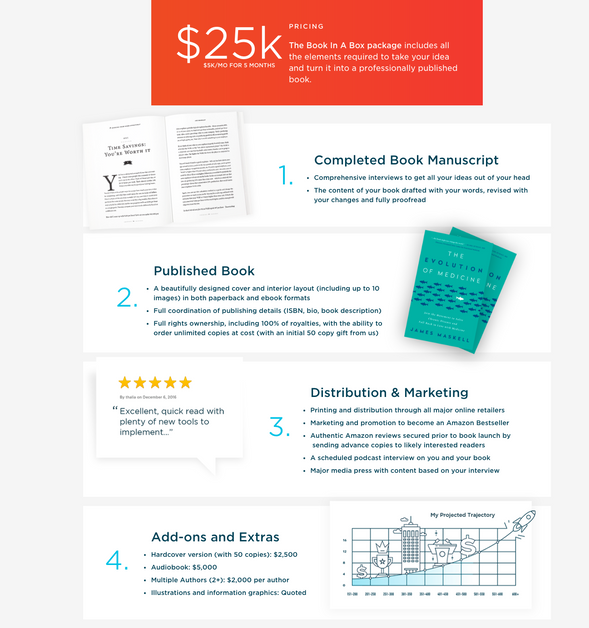 It can be like Book in a Box where you pay $25K to get your ideas turned into a ready-to-sell book! It can be like my own Fully Loaded Launch where you invest $10K for every single element of your launch copy custom-crafted for you. This high-end, top-tier productized service idea is PERFECT for you if you have established expertise and success in a service that is in high demand too. Now… let’s look at a variety of niches and examples of productized services in each. That will get your creative juices going so you can look at your own business and see how you can start to package your services, the profitable way. To scale without launching an eCourse. An easy-to-sell way for clients to hire you straight off your site. To get off the “hourly” rate hamster wheel. Upfront payment from clients and never chase a pending invoice again. Offer insane value to your clients while raising your profits as well. You also know that you have 3 possible productized services models to choose from. Stash Wealth: I already shared the brilliance of their Stash plans and how easy it is for someone to buy and get started! Torchlight Advisors: Financial planning packages for different stages of life. 3 Wise Bears: They offer customized accounting services for everyone from freelancers to eCommerce business owners to landlords and more! Elizabeth Goddard: She offers a suite of ConvertKit packages and services and is the first person I think of when referring people for email marketing and CK services. Dotcom Cowgirl: She offers MailChimp set up with cool optional add-ons as well. 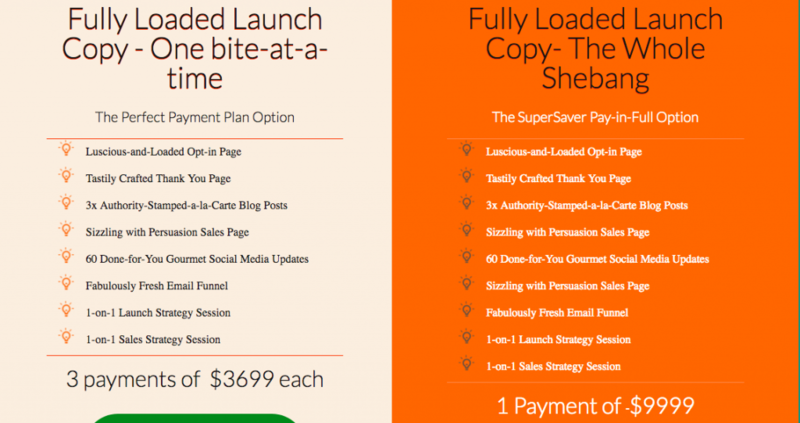 Fully Loaded Launch Copy: Our flagship, done-for-you, everything-included launch copy package that is clearly top tier but gives ready-to-launch entrepreneurs a seriously stress-free experience since they get everything from their opt-in page and email funnel to sales copy and even, authority-building blog posts and buzz-creating social media content. Cashflow Podcasting: Podcast editing services for busy podcasters. Easy-to-sign up for and clear outline of everything they’ll get. Offers two options and has a monthly service model. Book Launchers: Like Book in a Box but also different. Book Launchers helps you with the complete writing process and also has a “Content Assist” package for those who don’t want all the bells-and-whistles. 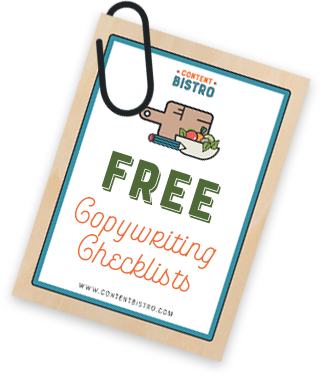 Facebook Ad Copywriting Package: Robert has a sweet package for his Facebook ad copy services. He spells out the deliverables and also, throws in a bonus! Whole: LOVE the name and the brand. They offer ready-to-buy eCommerce marketing services for Shopify store owners. The riches are, definitely, in the niches! ShopCreatify: They offer Shopify setup services with 3 different options catering to 3 different segments. Limitless Design: Get unlimited design for as little as $179/month. Excellent example of the monthly productized service model. 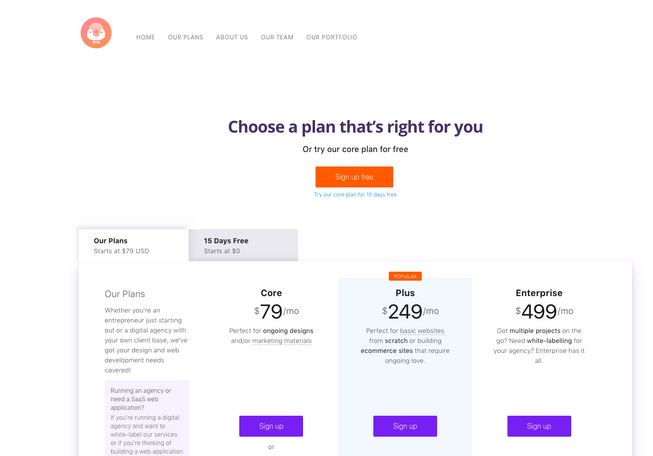 Undullify: Like Limitless Design except it’s $149/month for unlimited designs and revisions for one brand. ManyPixels: Offer unlimited design for a low monthly price and INCLUDE landing pages, wireframing, mobile UI and more! Human Proof Design: Done-for-you, ready-to-buy affiliate sites! We Organize It! 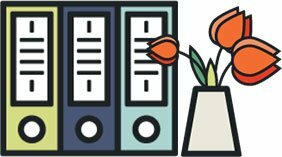 : Diana offers 3 different packages for folks who want to get organized, once and for all. She even has a package that includes shopping for organizing products! LOVE it. Organized by Nicole: Nicole offers a range of different packages depending on your goals and needs. She’s got packages for those who’re moving house, need help filing paper, want better space planning and so on! Brilliant! Businessese: This is a brilliant example of a Starter Service package. They’re actually digital products for legal assistance. From contracts to agreements and releases, you can buy the package you want and not fork out thousands for a lawyer to draft them for you. Language Sitters: They offer 3 different packages for those who want to learn a foreign language. Each includes a personal language trainer for different levels of flexibility and teaching materials. Lisa Quinn Mini Milestone Sessions: Lisa offers her newborn photography clients a chance to capture significant milestones during their baby’s first year. You can choose to get newborn, 3-month, 6-month, 9-month and 1-year photoshoots done and save as well. It’s perfect for families who don’t want to hunt for a photographer each time they want their bundle of joy photographed. Katey P: Katey offers a Baby’s First Year package too except that she includes Maternity too! Imagine the joy of being able to book someone in for ALL the oh-so-important stages of your pregnancy and birth. Products on White Photography: Offers product photography packages. Want to create your own highly profitable productized service? Of course ,you do! Oh and do stay tuned for the 3rd post in this series where I’ll walk you through the 4 steps you need to take in order to create and launch your successful and smartly packaged service! Pop your details below to be the FIRST to know when Profits on Tap opens and score exclusive bonuses too! Thank you, Prerna! I appreciate the examples from companies already using a productized service model. 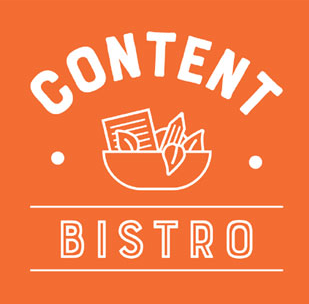 This week I was asked about blogging for a company, so I created a sample post plus 4 social media shareable posts and a sample graphic, free of charge. Sent them the package deal (4 posts/social media content/graphics) instead of a “this is what I charge per post” price. I feel great about this model! We’ll see if it’s what they’re looking for, but in the meantime, I prefer this approach to a la carte so much better. Hey Kendra!! You’re most welcome and YAYY for sending in that blogging package!! That’s a great start! !